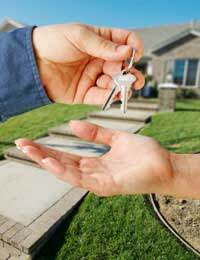 Not everyone wants to hand over the keys to their beloved home and entrust it to the hands of others. But for most it is a necessary evil that must be done to pay the mortgage or maintain the home. Mr and Mrs Holt bought a holiday home in Austria, which they frequented around the skiing season and at Christmas and New Year. They had somebody maintaining the property throughout the year, but thought it was a bit of a waste to leave it idle for such a large chunk of the year. “We bought our two bedroom apartment roughly two years ago. It was not a large property and was situated in a block of flats, but it had lovely views of the Austrian countryside, and there was enough room in the apartment for what we needed”, says Marylyn. The other flats in the block were also owned by holiday makers who also used their apartments in a similar way, and only visited for around four to six months of the year. “We had the aim of eventually wanting to retire to the area, but we knew this was a few years off," she adds. The Holts needed to earn enough money to retire, and one way of doing this way to rent out their property when they were not there. “We spoke to the caretaker of our property and he put us in touch with a lettings agency that dealt with other holiday homes. We told them about our intention to rent out the property, and they said they could help us,” says Marylyn. “We placed an advertisement online and with the local agent that was dealing with our property,” she says. Within a few months, the Holts started to see an influx of enquiries regarding their property, and they decided on a plan to rent it out. “We looked at months in the year when we knew we would definitely not be there. Once we knew these months, we marketed the property as being available over these dates,” says Marylyn. With the prospect of renting their apartment now a reality, they decided to renovate the property to give it a new lease of life. “We knew that if we wanted to attract the best tenants, we would need to improve the condition of the property. Although we did not have a lot of money, we gave the property a mini makeover and made it to the best standard we could," says Marylyn. The Holts devised an online calendar and marked on it the dates they intended to be in the property, all of the other dates they marked for free were open for people to apply to be in their holiday home. “Although not necessary, we tried to carry out due diligence on our lodgers. We always asked for references and for personal details, such as address and contact numbers,” she says. When the Holts were not around, they entrusted their caretaker with managing the property, and he would keep an eye on any lodgers they had at the apartment. “It was always a hardship handing over the keys to our home to a stranger, but once they had moved out, we employed a cleaner to clean the property and make sure it was how we left it. What we made in returns from renting the property made up for the extra cost of a cleaner,” says Marylyn. The Holts successfully rented their property for a number of years, with the help of the lettings agency. But eventually they decided to move in to their apartment full time. “If we had not rented the property out for a few years, we would not have been able to retire so early and enjoy the comforts of our holiday home,” says Marylyn. Deciding to rent out your holiday home can be a big step. It is a part of you that you may not want to share with others, but if you can detach yourself from the idea of letting your home out to strangers, renting can be a worthwhile and rewarding experience.